Potala Palace, the iconic heart of Tibetan Buddhism, is the highest palace in the world. It once served as the winter palace of the Dalai Lama and was the Tibetan seat of government. The palace is located in Lhasa, the capital of Tibet, and it now serves as a museum preserving the cultural past and is a beautifully situated World Heritage Site. Potala Palace is situated on top of Marpo Ri (meaning ‘Red Hill’), which overlooks the Lhasa Valley from a height of 130 meters (426.51 ft). According to legend, there is a sacred cave within this hill, which was once the dwelling place of Avalokiteśvara (known also as ‘Chenrezi’ in Tibetan), a bodhisattva who is the embodiment of the compassion of all the Buddhas. The Emperor Songtsen Gampo is believed to have used this cave as a meditation retreat . It was also during this emperor’s reign, in 637 AD, that the first palace was built on the Marpo Ri. According to one source, the palace was built so that the emperor could greet his bride, the Princess Wencheng of Tang China . The present structure, however, was only constructed during the reign of the 5th Dalai Lama , Ngawang Lobsang Gyatso, in the 17th century. In 1645, the construction of the palace began. Three years later, the White Palace, which was used as the winter quarters of the Dalai Lama, was completed. The entire structure, however, took several more decades to complete. The Red Palace (which is dedicated to the study of Buddhism and to prayer), for example, was completed only between 1690 and 1694. The 5th Dalai Lama did not live long enough to see the completion of this palace, as he had died in 1682. The other monks, fearing that his death would cause the project to be abandoned, decided to keep the Dalai Lama’s death a secret for 10 years, until the Red Palace was completed. In the meantime, a monk who looked almost like him was used to impersonate the deceased Dalai Lama. In 1959, the Tibetan Uprising/Rebellion took place against the Chinese government. 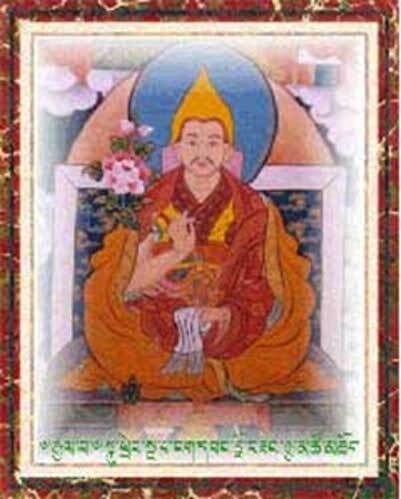 The uprising/rebellion was unsuccessful, and the 14th Dalai Lama, Tenzin Gyatso, fled to India. Thus, Potala Palace was no longer the residence of the Dalai Lama. During the 1960s and 70s, many Tibetan religious structures fell victim to the fanatical Red Guards during the Cultural Revolution. 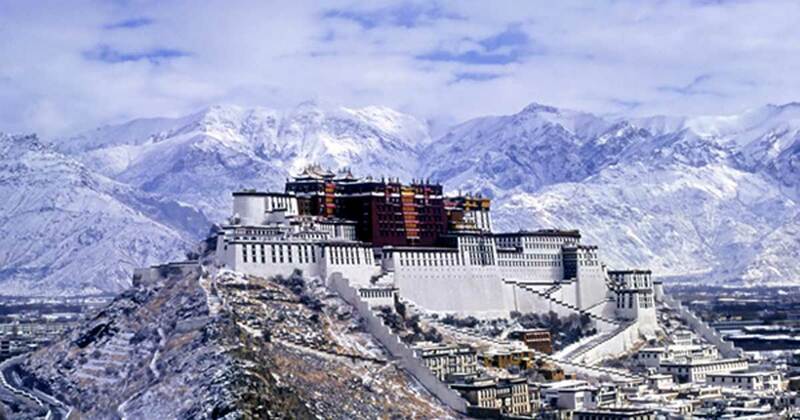 Nevertheless, Potala Palace survived this iconoclasm, as it was protected by the troops of Premier Zhou Enlai himself. Potala Palace was converted by the Chinese government into a state museum, and today it remains an important pilgrimage site, as well as a UNESCO World Heritage Site. Just recently it was announced that China plans to spend 300 million yuan ($45 million) to preserve the ancient documents and texts held within this iconic site. The 10-year project will include digital preservation as well as the registration of more than 2,800 volumes of text. One of the highlights of Potala Palace is its architecture, which is a masterpiece in itself. The entire structure was built of wood and stone, and contains over 1000 rooms, which include chapels, halls, and rooms. The palace also houses numerous works of art that would leave a visitor awestruck. These include statues of the Buddha, antiques, as well as murals. The last of these, which decorate the walls of Potala Palace, depict important events in the history of Tibet, as well as stories from the lives of the previous Dalai Lamas. Finally, the sacred nature of Potala Palace is further enhanced by the fact that it is the burial place of previous Dalai Lamas. The mausoleums of eight previous Dalai Lamas are located in the Red Palace, and these are wonders themselves. The mummified body of the Fifth Dalai Lama, for example, is enshrined in a stupa (a dome shaped structure) in the western part of the Red Palace. This stupa is 5 stories high, covered with 4 tonnes of gold, and encrusted with a large amount of semi-precious stones. Another interesting article Mz.Holland. It is a crying shame, thinking of the tyranny and oppression the Chinese have made the Tibetan people endure. Kashmir has also seen the same destruction and genocide. I was unaware of this child you mention; claimed to be an incarnate by the Dali Lama. Horrible that this young boy was incarcerated. Any idea of what has happened to this child? After Mao won China's Civil War the 14th Dalai Lama pledged that Tibet had always been a part of China with his allegiance to Mao as the new leader of a united China that was to drive out the Imperialistic forces/KMT. Mao also was to make all of China's lands part of the people and freedom for the serfs in China's Tibet and a return to power of the Panchen Lama that the 13th Dalai Lama had removed from power including putting in prison many of his followers. This led to an opportunity of the CIA to create yet another front to combat communism and Mao's China. CIA Operation ST Circus began with the 14th Dalai Lama becoming a traitor to his country. This CIA operation ended in the defeat of the CIA backed forces in China with much of that support coming from the freed serfs in China's Tibet. The Dalai Lama fled to India with CIA support and we gave India Nuclear Weapons technology in return for that support. Study CIA Marine Colonel William Corson who was the Dalai Lama's handler for more on this operation. ... are the machinations of the propaganda mill that is the Chinese regime, I am from Tibetan school and know first hand the way they work... pitiflul the greed and deception, Dali is embodiment of Avaloketeshvare living, China wants new incarnation so they can control Tibetan Buddhism once and for all... the rest of story is self evident if you look at REAL history and not Sino propaganda history...KARMA will come back on Chinese govmt. ... this man knows nothing of Tibet. Never was "part of China " culturally or any other way, by virtue of geography alone they were closer to mongols throught history and ofter actually much more aligned with them! China is greedy and wants to own everything... killed thousands of unarmed monks and destroyed thousands of monasterires in 1959-60. Facts! Go to TIbet and see if any natives own anything! All the business owners are Chinese while the native Tibetans are not allowed to own anything. After China conquered Tibet they destroyed everygthing, planted crops that wouldnt grow here and there was mass starvation, all ecause they wanted to impose their culture... which was NOT ours( not part of China) .. get it?